Tags: 2018 WSOP, Ognyan Dimov. 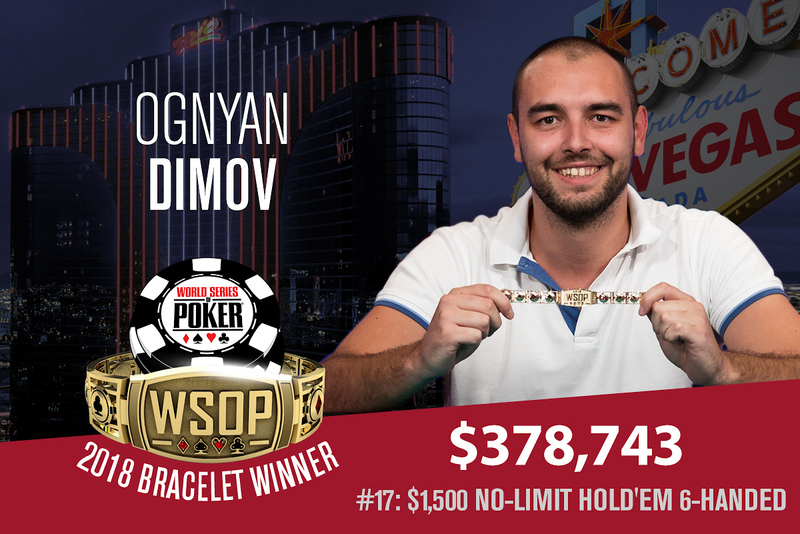 Bulgarian poker pro Ognyan Dimov was the last man standing in a player field of 1,663 entries in this year's WSOP Event #17: $1,500 No-Limit Hold'em 6-Handed event, obtaining his first-ever gold bracelet and the $378,743 top prize. He is the third Bulgarian poker player in history to ever win a WSOP title, next to fellow countrymen Nick Jivkov and Simeon Naydenov. The 2015 European Poker Tour Deauville main event champion managed to knock out four of his five final table rivals in fairly swift succession to claim the title. Dimov said after he won, "I didn't think much about it, although it's a huge thing. I tried to stay calm. I felt really good while playing. So I won, and that's really amazing." Dimov entered the final Day 4 in second place on the chip lead, behind bracelet winner Joey Weissman, who Dimov knocked out in 5th place to take the lead. The final table included four former WSOP champions, with Dimov and Barbato the only two who haven't yet secured a WSOP bracelet at the time. In the end, Dimov had a massive lead of around 9-to-1 into a heads-up play against Italian Antonio Barbato, who he knocked off quickly 16 hands later. It was Barbato's A-9 versus Dimov's K-6, and the board ran out a J-7-6-5-K, thereby making Dimov the eventual winner by the river. 6 comments for "2018 WSOP: Event #17: $1,500 No-Limit Hold''em 6-Handed won by Ognyan Dimov for $378,743"
In this tournament there are 5 players who finish in the top 10 and who are not Americans. We hope that in the future there will be more Europeans who win bracelets in wsop tournaments. 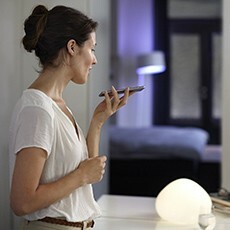 They have to prove that Europe knows more poker and the ambitions are bigger. It's better in this way for poker competition. Absolutely huge congratulations to Ognyan Dimov for winning the $1,500 buy-in No-Limit Hold'em tournament and scooping over US$350,000. It's really impressive that Ognyan maneuvered through a field of 1,663 players from all over the world.